Athens, Ga. – About 61 percent of the world's 356 turtle species are threatened or already extinct, and the decline could have ecological consequences. These findings are according to a new paper in Bioscience synthesizing the global status of turtles and their ecological roles by scientists from the U.S. Geological Survey, Tennessee Aquarium Conservation Institute, University of California, Davis, and the University of Georgia. 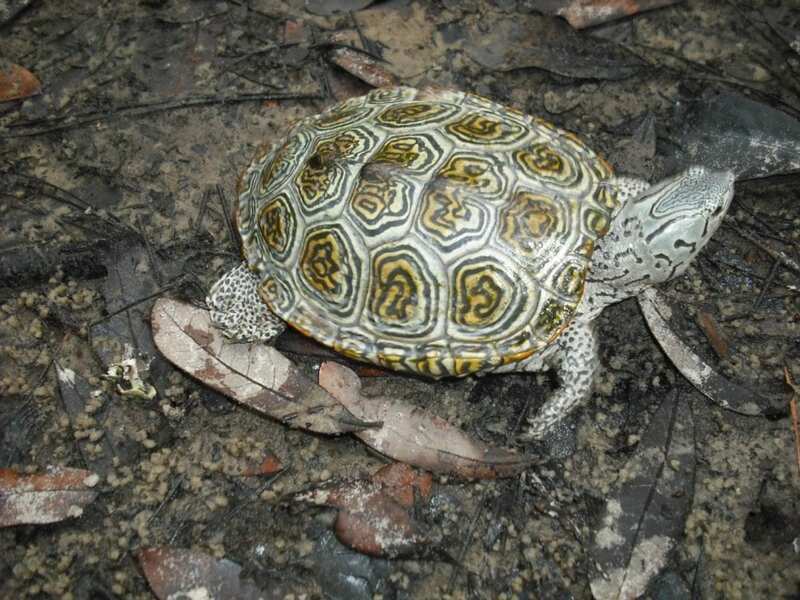 "Our purpose is to inform the public of the many critical ecological roles turtles perform on a global scale and bring awareness to the plight of these emblematic animals whose ancestors walked with the dinosaurs," said the study's senior author, Whit Gibbons, professor emeritus at UGA's Savannah River Ecology Laboratory and Odum School of Ecology. "These modern descendants of an ancient lineage are touchstones for how human influences are causing the decline of so much of the world's wildlife. Our hope is that everyone will be encouraged to engage in concerted efforts to conserve their well-earned legacy as part of our natural habitats," Gibbons said. "Turtles contribute to the health of many environments, including desert, wetland, freshwater and marine ecosystems, and declines may lead to negative effects on other species, including humans, that may not be immediately apparent," said USGS scientist and lead author of the study Jeffrey Lovich. Turtles are now among the most threatened group of animals on Earth, more so than birds, mammals, fish or amphibians. These iconic animals outlived the dinosaurs and have roamed the Earth for more than 200 million years. Reasons for the dire situation of turtles worldwide include habitat destruction, over-exploitation for pets and food, disease and climate change. Scientists synthesized existing published studies to bring attention to the plight of turtles and identify what may be lost from an ecological perspective as they continue to decline and disappear. This paper provides the first major review of the various functional roles that large populations and diverse communities of turtles provide from an ecological perspective. This includes maintaining healthy food webs, dispersing seeds and creating habitats necessary for other species. Turtles can be major players in ecosystem food webs because they can be herbivores, omnivores and carnivores. They range from specialists, or feeding on one to a few food sources, to generalists, feeding on a wide range of items. Their diverse feeding habits allow them to influence the structure of other communities in their habitat. Some turtle species occur in dense numbers that can yield hundreds of pounds of turtles per acre, making them ecologically important by virtue of their mass alone. Such large masses of turtles equates to large amounts of potential food for organisms that feed on turtles or their eggs. Turtles can be important in dispersing the seeds of dozens of plant species. Some turtle species may even be the primary seed dispersal agents for specific plants. Not all seeds are destroyed by the digestive tract. In fact, there are specific seeds that exhibit higher rates of germination after being eaten and passed. Some turtles, like Agassiz's desert tortoise in the American Southwest and the gopher tortoise in the American Southeast, dig large burrows creating habitat for other species. For example, the gopher tortoise can dig burrows over 30 feet long. The mounds of soil near the entrance of the burrows can create new habitat for some plant species, increasing overall plant diversity near burrow entrances. The burrows are used by hundreds of other species including spiders, insects, snakes, amphibians, other reptiles, rabbits, foxes and even bobcats. "The ecological importance of turtles, especially freshwater turtles, is underappreciated, and they are generally understudied by ecologists," says Josh Ennen, research scientist at the Tennessee Aquarium Conservation Institute. "The alarming rate of turtle disappearance could profoundly affect how ecosystems function and the structure of biological communities around the globe." Cutline: Diamondback terrapin: A species of turtle native to the brackish coastal tidal marshes of the eastern and southern United States, and in Bermuda. Cutline: A hatchling Sonora mud turtle, which is found in both Mexico and the U.S.
Cutline: River cooter: A freshwater turtle native to the central and eastern United States, from Virginia south to mid-Georgia, west to eastern Texas, Oklahoma, and north to southern Indiana. Cutline: Spotted turtle: A small, semi-aquatic turtle that reaches a carapace length of 8-12 cm upon adulthood. Location, location, location: does seedling defence vary over large geographical scales?